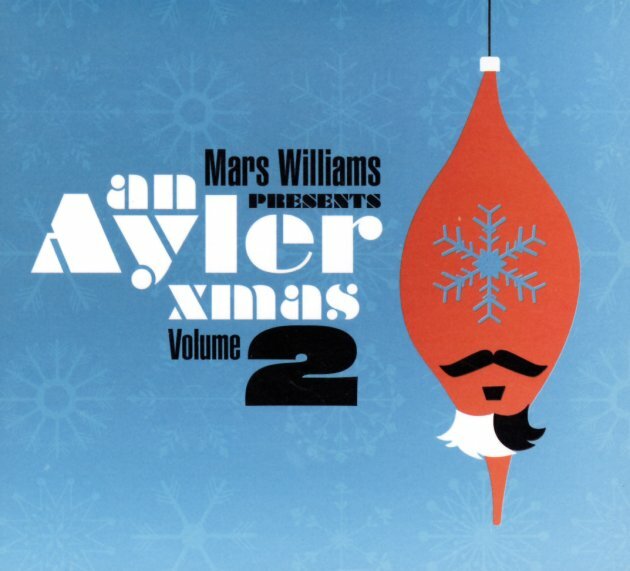 Finally – the world of free jazz gives us a tremendous Christmas album – Mars Williams' second installment in his Ayler Xmas series, and maybe even better than the first! The music here is fantastic – an assortment of older Holiday standards, but performed as if they were handled by the legendary avant saxophonist Albert Ayler – so that the initial melodies are expressed at points, but much of the music is overtaken with freer jazz improvisation! There's a few Ayler themes thrown into the mix – which stand in nice contrast to some of the more traditional tunes, which soon disappear once the solos take off. Three of the five tracks feature a group with Williams on saxes and toy instruments, alongside Josh Berman on cornet, Fred Lonberg-Holm on cello, Jim Baker on piano, Kent Kessler on bass, and Jeb Bishop on trombone – and two others feature an overseas quintet, with Williams alongside Thomas Berger on trumpet, Didi Kern on drums, Hermann Stangassinger on bass, and Christof Kurzmann on lloopp and a bit of voice. Titles include "Universal Indians/We Wish You A Merry Christmas", "Xmas Medley", "Carol Of The Drum/Bells/O Come Emmanuel/Joy To The World", "Love Cry/Christmas Wrapping", and "O Tannebaum/Spirits/12 Days Of Christmas". © 1996-2019, Dusty Groove, Inc.